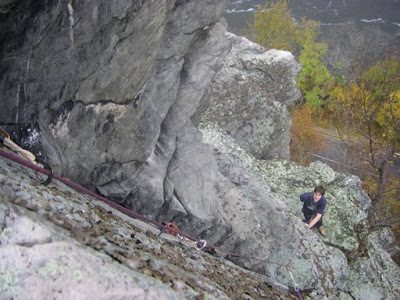 The Fall has brought some new climbing action at Harpers Ferry. Check out the pics below fom Carl Orr. 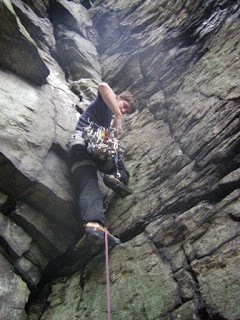 Carl's friend leading on Loudon Heights. 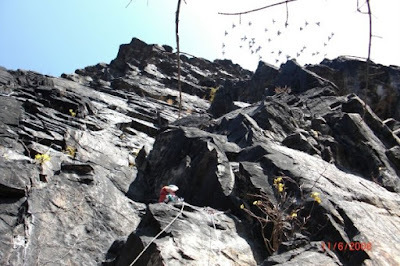 Harpers Ferry has a lot of unknown climbing history. 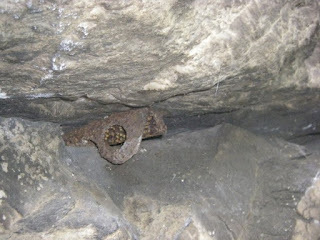 Below is an old piton in a horizontal crack. The crack is on the face to the right of Carl's friend in the above photos. You'll probably come across remnants of climbers from the past. I don't know who placed them or at what time. These pieces remind me of the civil war relics that populate the region. Could these pitons be from the time period when soldiers of the 10th Mountain Division (?) 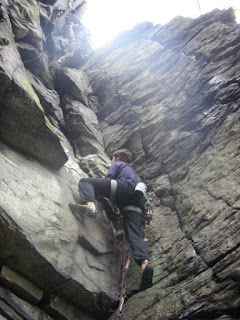 trained at Seneca Rocks, WV. They supposedly placed thousands of pitons in the wall of a thousand pitons. 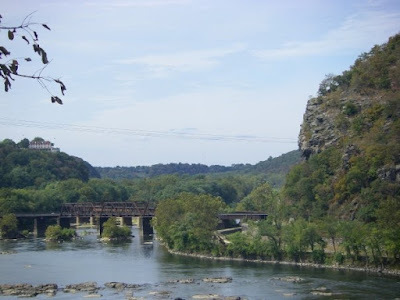 Maybe they ventured to Harpers Ferry and did some climbs. Thanks for the photos Carl.